Hiya guys! I have one final Polish Pickup shade to share with you guys that almost didn't get to my nails in time. Thanks to USPS this beauty was over a week late in getting to me. I must have looked at tracking about a dozen times a each day. We had almost lost hope, haha. But it's here and now I'm doing a quick post to share it since the shop has gone live at this point. So for today I'm sharing swatches for Poetry Cowgirl Nail Polish November contribution to the Polish Pickup Collaboration. As you might already know by now, this month the inspiration is Fandoms. Without further ado, let's see those swatches! 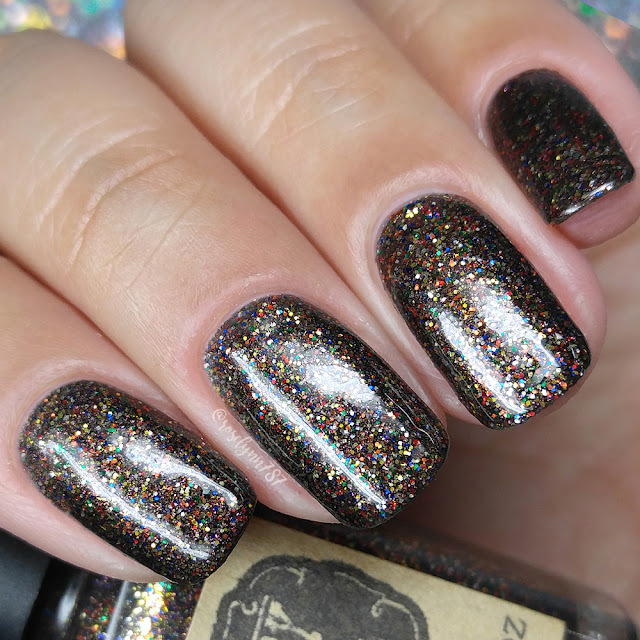 Don't Dream It by Poetry Cowgirl Nail Polish will be available for purchase through the Polish Pickup Shop November 3rd at 11AM EST through November 6th. This full-size 15mL shade will retail for $11 each. If you're not familiar with the concept, the Polish Pickup offers a fun, interactive experience that allows you to submit theme ideas, vote for your favorite theme, and selectively purchase your favorite polishes every month. As I mentioned before, the theme that was voted for November was Fandoms! 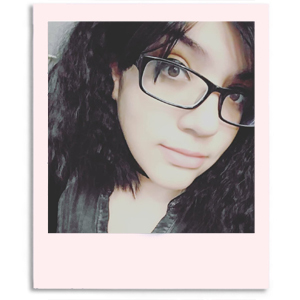 This month Kristen took inspiration from a favorite of mine, The Rocky Horror Picture Show. Don't Dream It can be described as a black base loaded with red, orange, gold, green, blue, and silver micro glitters, gold sparkles, and a hint of red and gold shimmer. Isn't it so festive and fun?! It's been a while since I have worn a polish with so much glitter and sparkle like this. Flashy while still being classy, the perfect combination haha. Definitely nicely done and a great addition to any collection if you don't own anything similar. The formula has a sheer application that builds up rather well for full coverage. Consistency wise it does lean on thick side, but it's still manageable and easy to work with. It's definitely glitter packed with each brush stroke. No need to dab on the coats and there is no clumping when layering. It dries down very textured and might need an extra layer of topcoat to smooth out. Shown in two coats and sealed with a glossy topcoat. 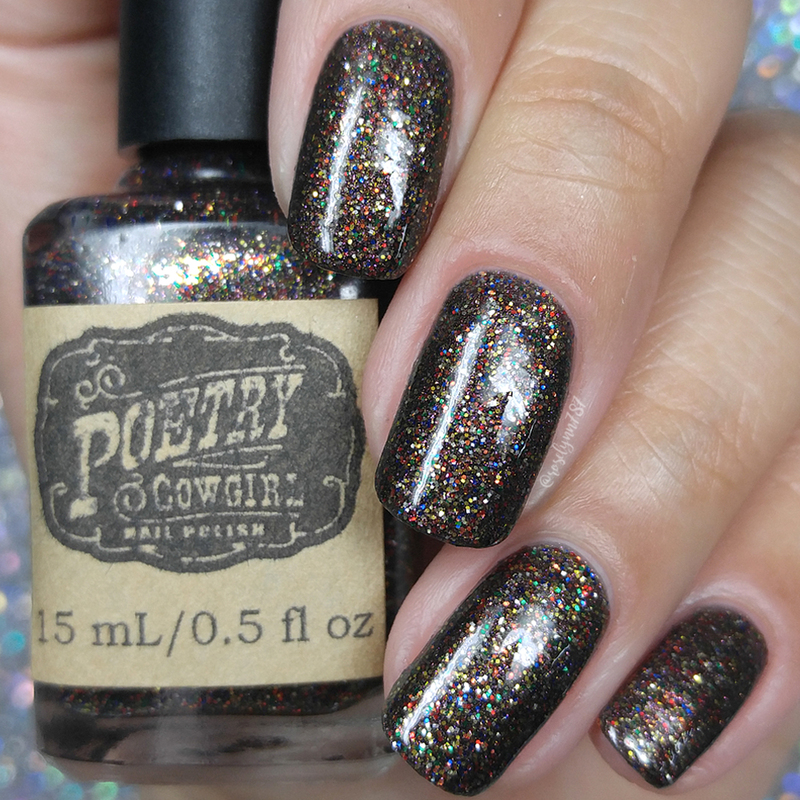 To recap, Don't Dream It by Poetry Cowgirl Nail Polish will be available for purchase through the Polish Pickup Shop November 3rd at 11AM EST through November 6th. This full-size 15mL shade will retail for $11 each.